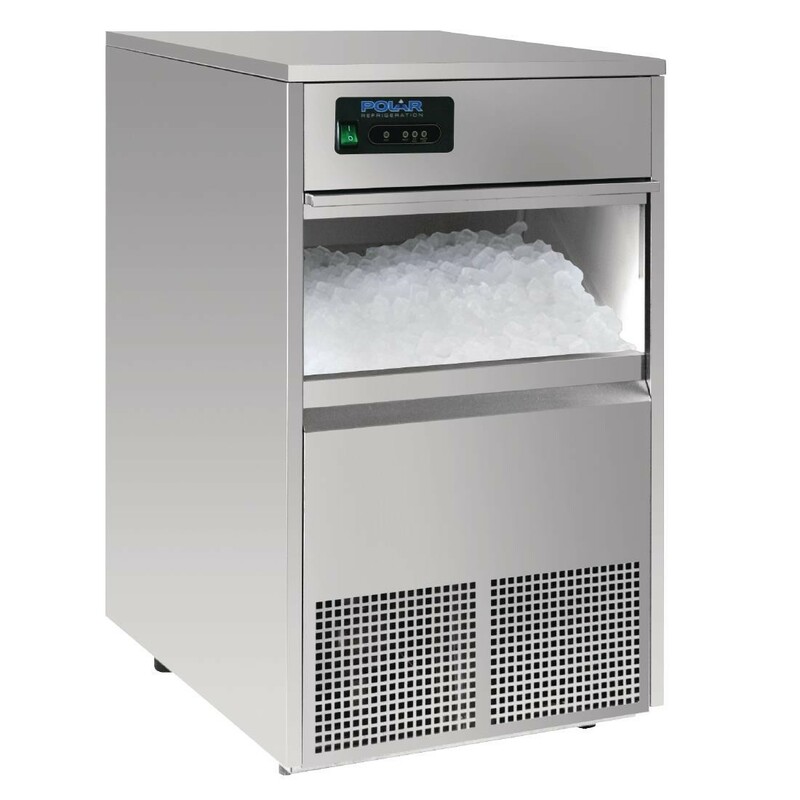 Perfect for use in pubs, clubs, bars, retail outlets and other similar premises, the Polar Refrigeration Bullet Ice Maker offers high output ice making alongside a large hygienic 10kg ice storage capacity. Made from robust stainless steel, it's designed to be strong and durable, whilst also being incredibly simple to use and clean. A fuss-free high output ice machine from Polar, supplied with a scoop and mains water connection kit. Please note: an optional external drain pump (OW-AF309) is required if installing this unit lower than the drain standpipe.